Quick Thoughts: COMMUNITY, "Virtual Systems Analysis"
Sometimes Community wants to be an accessible comedy while being a little bit odd, and then sometimes it bypasses being "normal" and goes full crazy. "Virtual Systems Analysis" was an example of the show just going nuts, and I'll be interested to see how it played for more casual viewers. I'm not going to even going to try to analyze this episode because it was so weird, and there are other writers out there who could break "Virtual Systems" down to its base compounds and tell us what it all meant, so why bother. What I will say is that while it didn't have a ton of laughs, I did appreciate its ambition and the fact that it focused on the relationship between Annie and Abed. Since they are two of my favorite characters, it was nice seeing them interact since that's something we don't get a lot of, and I was happy that they were the center of such a bold episode. Whether "Virtual Systems" was successful will be up for debate, but I felt that it did a decent job at examining these two characters and what they mean to one another and to the study group as a whole. I just wish I understood more of it. Obviously, I didn't mind that this episode also gave us a little more of Troy and Britta because this has become the pairing that means the most to me. There's still an innocence about the possibility of these two pairing up, and for the most part its void of any real complications. 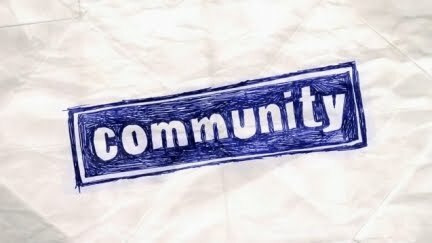 The same cannot be said about Annie and Jeff or Jeff and Britta, and Community could benefit from having a couple that's just fun to watch. Troy and Britta could be that couple, but I'm sure it's not going to be that easy because it never is when it comes to television. Overall, I'd have to say that I thought "Virtual Systems Analysis" was a decent episode of Community, but I haven't figured out if I liked it that much or not. I do think that there's tons of potential, but these concept heavy episodes tend to be a little off-putting sometimes, and I haven't decided if this one was or not.